Here are some common questions and answers that come up prior to purchasing content studio. For frequent support questions please go to My C | S.
Can you handle Revit model groups? 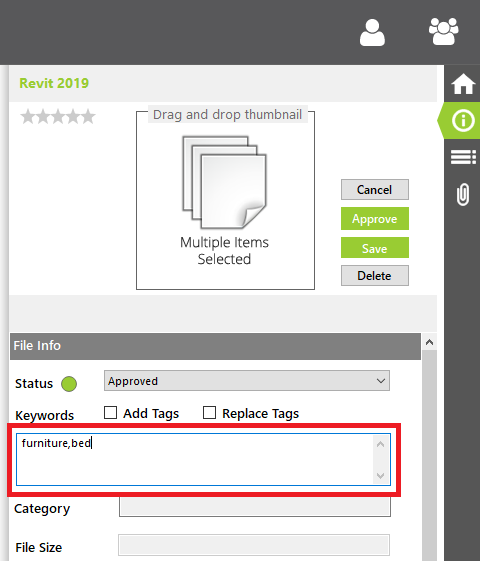 Yes, they create a Revit project (.rvt) file and can be imported into the work in progress area. Can you add and search on keywords? Yes, it’s easy to add keywords to single or multiple items. You can then search your library for those keywords. Do you support multiple Revit versions? 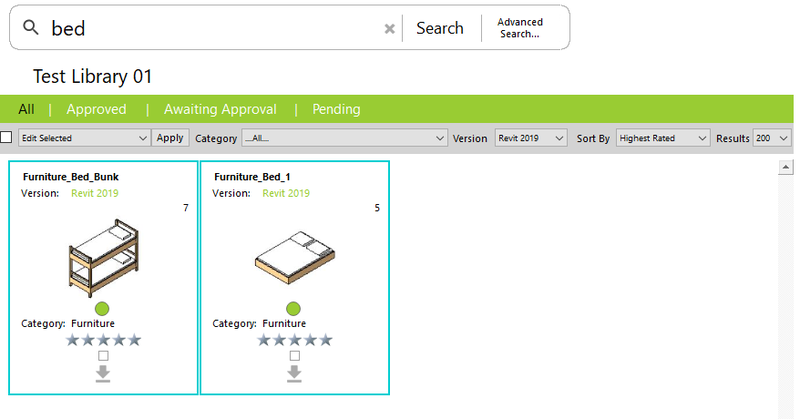 Yes, our Desktop Application and Autodesk Revit plugin supports all versions of Revit from 2014 – 2019. Can different libraries have different permissions? The local work in progress library is a temporary holding place on your local machine where you can store data being worked on before submitting into a shared library. Data stored here is not visible by others. Moderated libraries are visible firm-wide and are designed as quality controlled environments. Any user (Contributor) is permitted to submit content into these libraries ensuring maximum exposure of firm-wide content. Administrators can setup project libraries. Contributors can add existing project libraries to their interface which have been created by Administrators. Project libraries (or private libraries) are designed for team use at a project level. 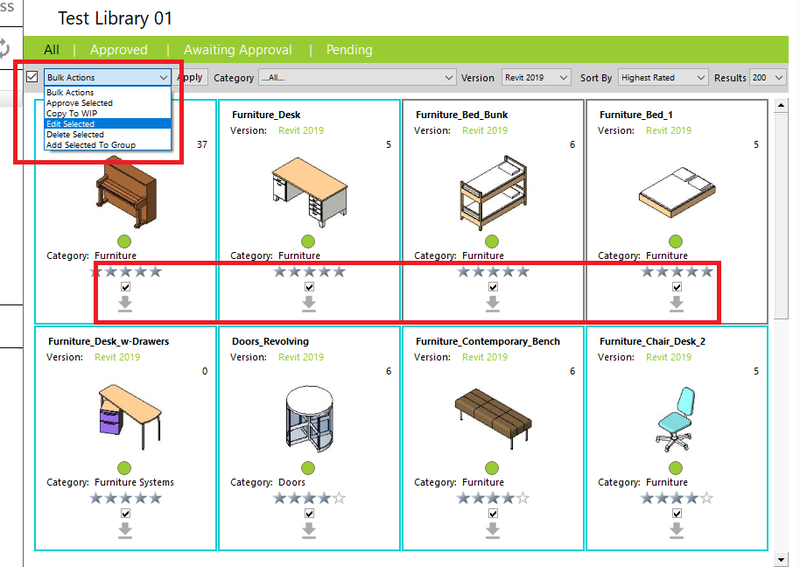 Only those invited to share a project library will see it visible in the tree view in Content Studio. Any user (contributor) can submit content into these libraries. Upon submission, the content is automatically approved for use. It is accepted that content already in use on the project is ‘Live’ and does not require approval at a project level. A layer of quality control does exist. All submitted content cannot be modified unless an Administrator first rejects and assigns it to another user. Administrators can invite other users to share a Project library by right clicking over the newly created library name in the tree view and choosing ‘Share this library with others’. Only Administrators can create reference libraries. Reference libraries (or read only libraries) are designed for storing read-only content by restricting permission to submit content (locked down). Where data is replicated from one server to another, it is not possible to have live editing of files due to the risk of two people editing the same file at the same time. A more robust way of sharing data in this manner is to use collaborative received information. A simple example is discussed here using Dropbox as a simple data sharing solution..
Company A creates content in a project library called ‘Arch-Library’ which is stored in a shared folder in Dropbox. Company A has shared this Dropbox folder with Company B who also need to use this data. Company B need to ‘take’ from this library but do not intend to modify the content. In their Content Studio account, they add the folder stored in Dropbox as a ‘Reference’ library. Company A can continually update content in their Project library and Company B will continually receive ‘pushed’ data meaning they are always using the latest information supplied. Depending on the collaboration requirements, this process can also be reciprocal. Company B can create a ‘Project’ library and share their managed content with Company A in the same manner.